Study: San Antonio Tops List of Fastest-Growing Large Cities in the U.S. 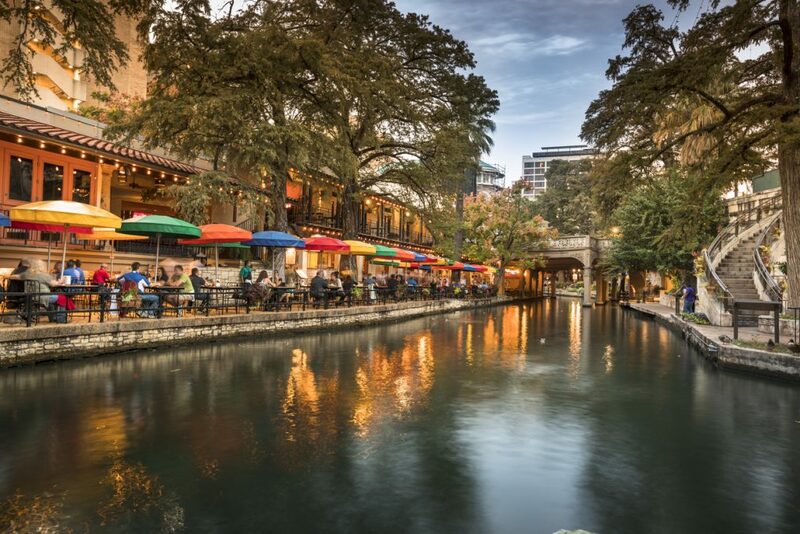 They say everything is bigger in Texas, and, apparently, things are just getting bigger, as five of the 15 fastest-growing cities in the U.S. are located there. 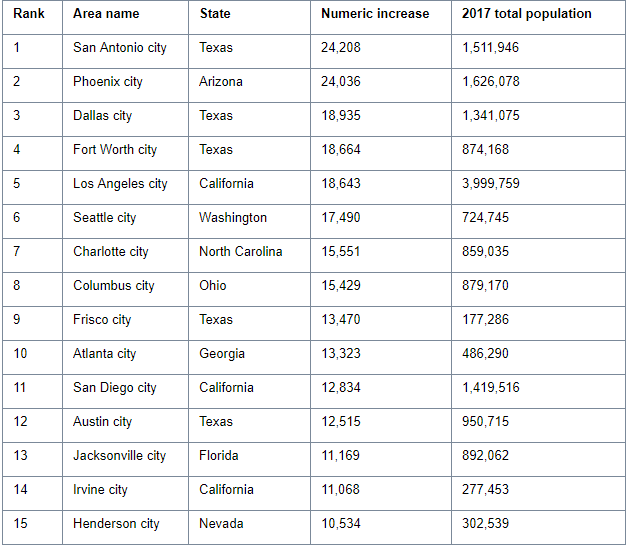 San Antonio topped the entire list, but Dallas, Fort Worth, Frisco and Austin also made it, according to new population estimates released by the U.S. Census Bureau. These estimates focus on the 3.9 percent of U.S. cities with populations of 50,000 people or more. San Antonio saw the largest population gain with an increase of over 24,200 people (an average of 66 people per day) between July 1, 2016 and July 1, 2017. "That's a growth rate of 1.6 percent," said Amel Toukabri, a demographer in the Population Division of the Census Bureau, according to the report. "This growth was enough to push San Antonio's population above the 1.5 million mark." As we continue to see inventory shortages across the country, the Census Bureau's findings give us some clear-cut numbers that explain why we're experiencing this in 2018. Housing unit growth last year remained below 2007 levels in all states except North Dakota, Washington, D.C., South Dakota, Iowa and Nebraska. Additionally, only 14 states added more than 100,000 housing units between April 1, 2010 and July 1, 2017, despite the massive yearly growth we've been seeing in the largest U.S. cities alone. To view population estimates for your area, click here. For a full breakdown of the fastest-growing cities and towns, according to the U.S. Census Bureau, click here.